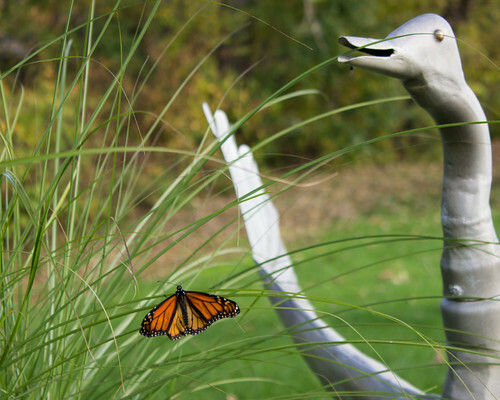 Butterfly and Goose, a photo by Christopher OKeefe on Flickr. What better than a butterfly to show ‘metamorphosis”. This was taken in a park in White River Junction, VT, which has this wonderful sculpture of a flock of geese. I’d hoped to have this goose a bit more out of focus but the butterfly did not cooperate and left before I could get additional shots. This entry was posted in challenges, Daily Prompt, photography and tagged butterfly, daily prompt, goose, metamorphosis, postaday on December 31, 2013 by milfordstreet. 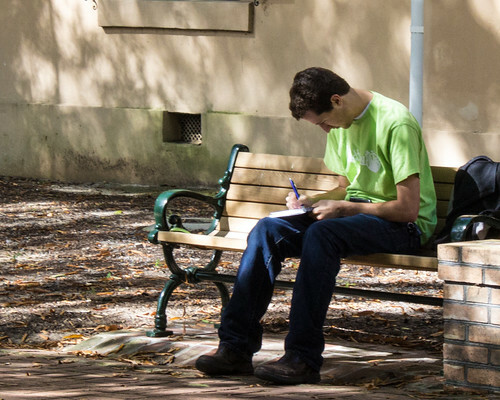 Studying on the Horseshoe, a photo by Christopher OKeefe on Flickr. I imagine this student at the University of South Carolina is hoping that he is bright enough to pass whatever course for which he is studying. This entry was posted in challenges, Daily Prompt, street photography and tagged bright, daily prompt, postaday, student, study on December 30, 2013 by milfordstreet. Acadian Wood Carving, a photo by Christopher OKeefe on Flickr. 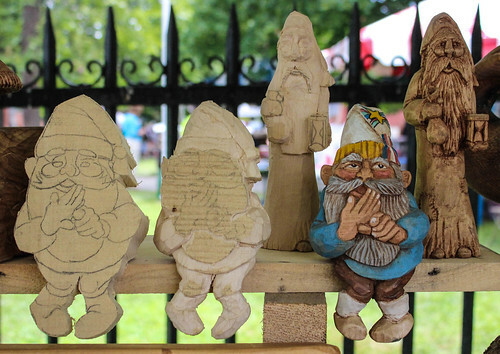 This display of Acadian wood carving at a local folk festival shows the progression of two pieces of work going from roughly carved forms to finished products. This entry was posted in challenges, Daily Prompt, photography and tagged acadian, carving, daily prompt, postaday, skilled, wood on December 29, 2013 by milfordstreet. Exiting Buckingham Palace, a photo by Christopher OKeefe on Flickr. This is the rear exit from Buckingham Palace into the Gardens. 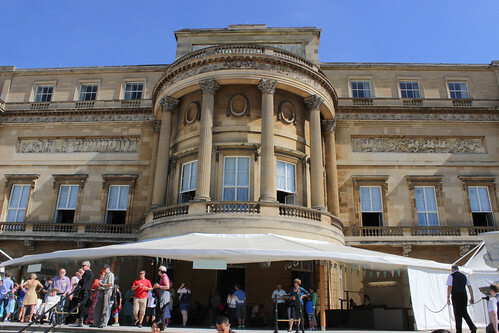 While I’d love to say the Queen had us over for tea, the reality was that she was on holiday in Scotland and we paid to tour the palace’s state rooms. This entry was posted in challenges, Daily Prompt, london, photography, travel and tagged buckingham, daily prompt, garden, palace, postaday, rich on December 28, 2013 by milfordstreet. 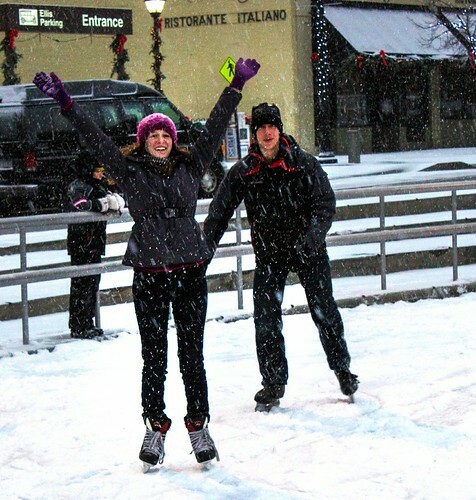 Grand Rapids Ice Skaters, a photo by Christopher OKeefe on Flickr. This exuberant woman ice skating at an outdoor rink is the absolute epitome of joy. This entry was posted in challenges, street photography and tagged joy, postaday, skater, skating, snow, weekly challenge on December 27, 2013 by milfordstreet. 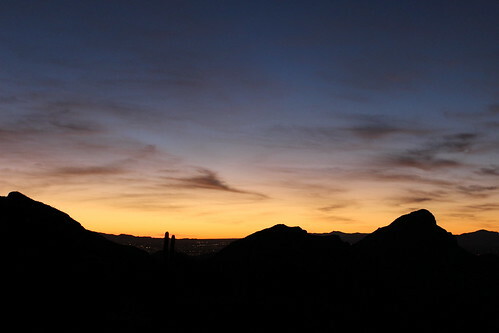 Tucson Sunrise 2, a photo by Christopher OKeefe on Flickr. Last winter, we spent a week in Tucson, AZ. In the mornings, I would go out hiking in the hills west of town to take photos. I so enjoyed watching the sun come up in the desert. This entry was posted in challenges, Daily Prompt, photography, travel and tagged arizona, awestruck, daily prompt, desert, postaday, sunrise, tucson on December 27, 2013 by milfordstreet. The Maestro, a photo by Christopher OKeefe on Flickr. This couple striding purposefully through a snow storm with their musical instruments was really striking. It took some fast shooting to capture this image. Given that he is wearing his tuxedo, I dubbed him “The Maestro”. This entry was posted in challenges, Daily Prompt, street photography and tagged carte blanche, daily prompt, maestro, musician, postaday, tuxedo on December 26, 2013 by milfordstreet.